Ready to Meet the Man with the Plan? 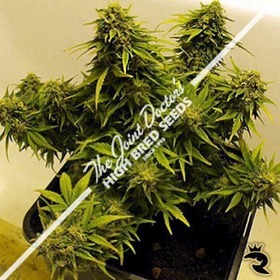 Since The Joint Doctor got his degree in total righteousness, he's poured his heart & soul into his signature Lowryder line of high-performance autoflowering cannabis seeds. Why settle for a pale imitation when you can have 100% authentic Joint Doctors High Bred Seeds? Choose your Joint Doctor Seeds Now! Buy Joint Doctor Seeds Now! Lowryder is a stout, thick, and stubby dwarf Cannabis plant. At 60 days, these plants will be very resinous begging to be harvested! You won’t be able to resist the mature flowers! The Lowryder Mix from The Joint Doctor is simply a collection of his non-feminized auto-flowering Cannabis dwarves: Original lowryder, lowryder 2, Diesel Ryder, and the newest Purple Ryder. Unlike the other available Lowryder strains, we were very SURPRISED at how good the smoke was. The quality was nice, the strength was nice (hard hitting), it was satisfying, and had a pleasing blueberry aftertaste and aroma. Rhino Seeds loves the Joint Doctors philosophy and are extremely happy to be able to offer his impressive seeds to you at unbeatable prices.